ARMA and MA estimates, ARMA and MA PSD estimates. 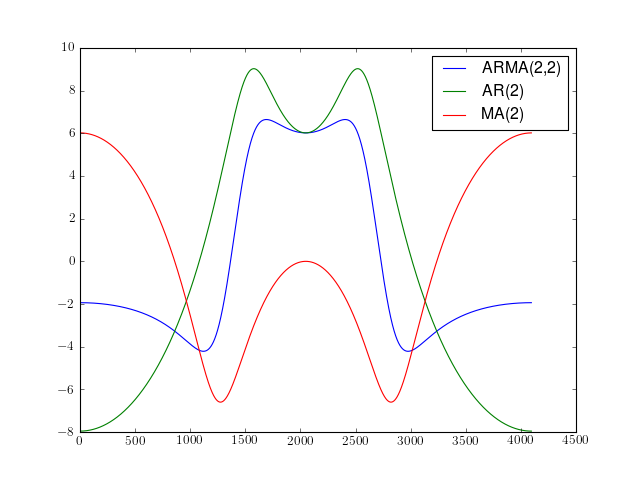 ARMA model and Power Spectral Densities. arma_estimate Autoregressive and moving average estimators. arma2psd Computes power spectral density given ARMA values. parma Class to create PSD using ARMA estimator. pma Class to create PSD using MA estimator. Computes power spectral density given ARMA values. 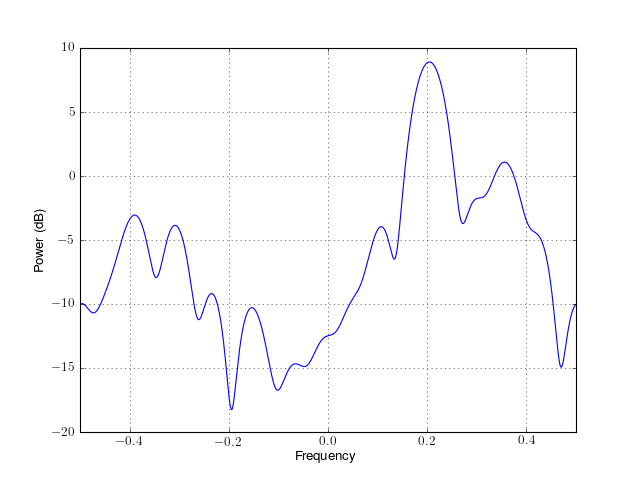 This function computes the power spectral density values given the ARMA parameters of an ARMA model. 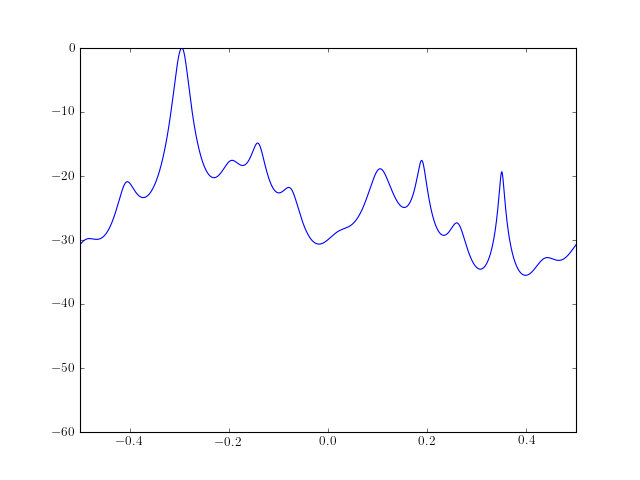 It is suppose that the driving sequence is a white noise process of zero mean and variance . 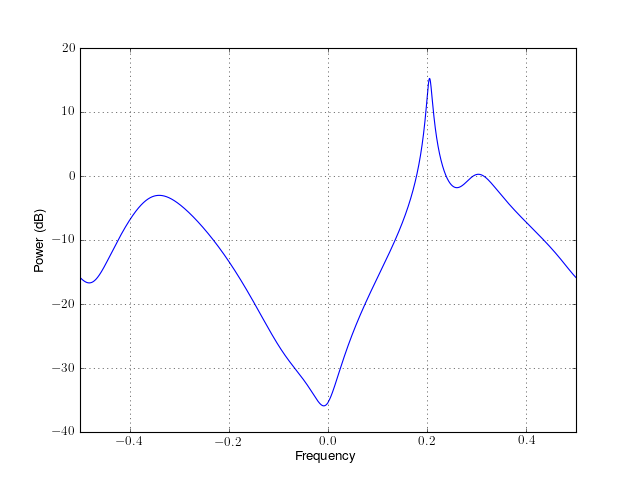 The sampling frequency and noise variance are used to scale the PSD output, which length is set by the user with the NFFT parameter. sides (str) – Default PSD is two-sided, but sides can be set to centerdc. By convention, the AR or MA arrays does not contain the A0=1 value. If B is None, the model is a pure AR model. If A is None, the model is a pure MA model. Autoregressive and moving average estimators. This function provides an estimate of the autoregressive parameters, the moving average parameters, and the driving white noise variance of an ARMA(P,Q) for a complex or real data sequence. Estimate the MA parameters from the residual time sequence. This program provides an estimate of the moving average parameters and driving noise variance for a data sequence based on a long AR model and a least squares fit. Class to create PSD using MA estimator. For a detailed description of the parameters, see ma(). 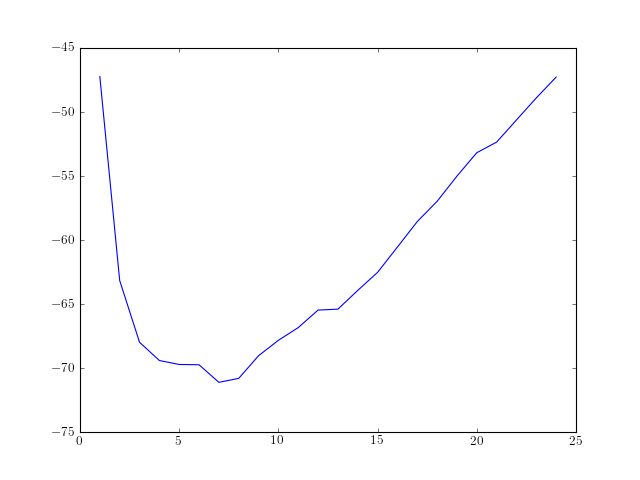 arburg(X, order[, criteria]) Estimate the complex autoregressive parameters by the Burg algorithm. 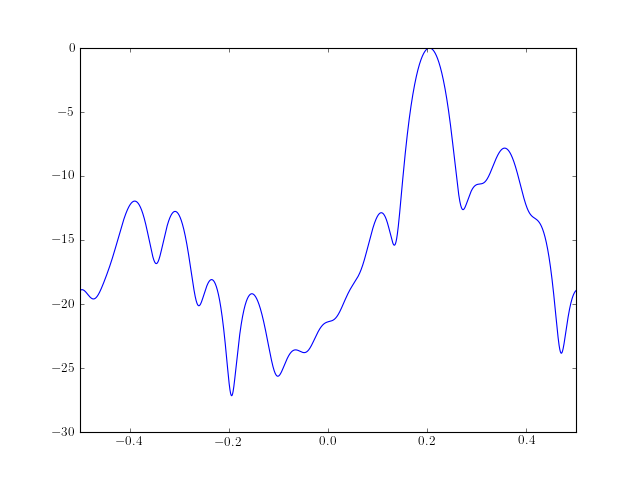 Estimate the complex autoregressive parameters by the Burg algorithm. A Array of complex autoregressive parameters A(1) to A(order). First value (unity) is not included !! 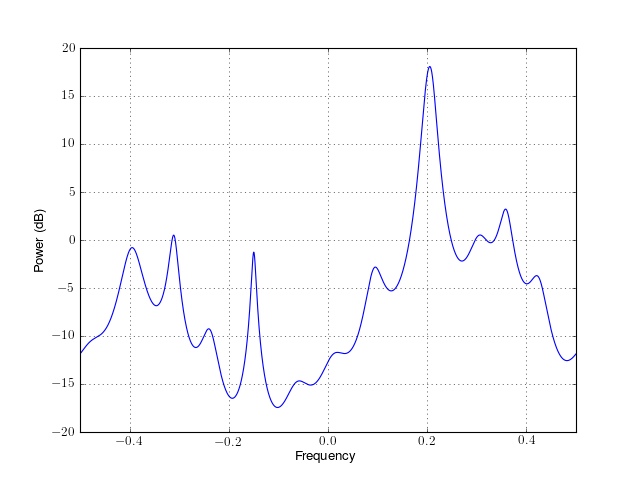 P Real variable representing driving noise variance (mean square of residual noise) from the whitening operation of the Burg filter. reflection coefficients defining the filter of the model. no detrend. Should remove the mean trend to get PSD. Be careful if presence of large mean. If you don’t know what the order value should be, choose the criterion=’AKICc’, which has the least bias and best resolution of model-selection criteria. real and complex results double-checked versus octave using complex 64 samples stored in marple_data. It does not agree with Marple fortran routine but this is due to the simplex precision of complex data in fortran. For a detailled description of the parameters, see burg(). Yule Walker method to estimate AR values. norm (str) – Use a biased or unbiased correlation. The outputs consists of the AR coefficients, the estimated variance of the white noise process, and the reflection coefficients. These outputs can be used to estimate the optimal order by using criteria. 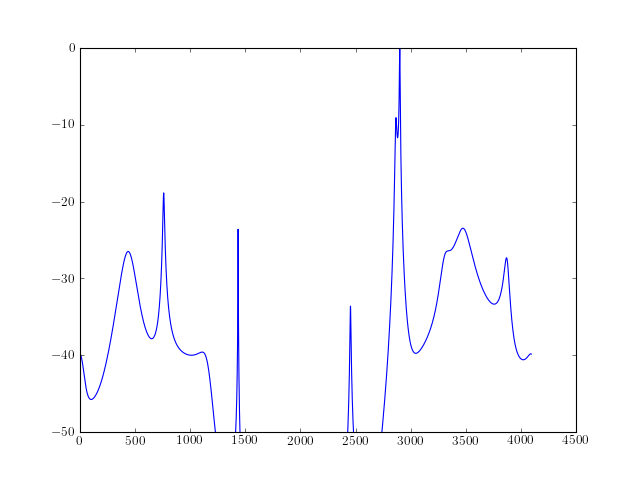 From a known AR process or order 4, we estimate those AR parameters using the aryule function. The outputs have been double checked against (1) octave outputs (octave has norm=’biased’ by default) and (2) Marple test code. This function uses LEVINSON() and CORRELATION(). See the criteria module for criteria to automatically select the AR order. For a detailled description of the parameters, see aryule(). This module provides criteria to automatically select order in parametric PSD estimate or pseudo spectrum estimates (e.g, music). Some criteria such as the AIC criterion helps to chose the order of PSD models such as the ARMA model. Nevertheless, it is difficult to estimate correctly the order of an ARMA model even by using these criteria. The reason being that even the Akaike criteria (AIC) does not provide the proper order with a probability of 1 with infinite samples. The order choice is related to an expertise of the signal. There is no exact criteria. However, they may provide useful information. AIC, AICc, KIC and AKICc are based on information theory. They attempt to balance the complexity (or length) of the model against how well the model fits the data. AIC and KIC are biased estimates of the asymmetric and the symmetric Kullback-Leibler divergence respectively. AICc and AKICc attempt to correct the bias. 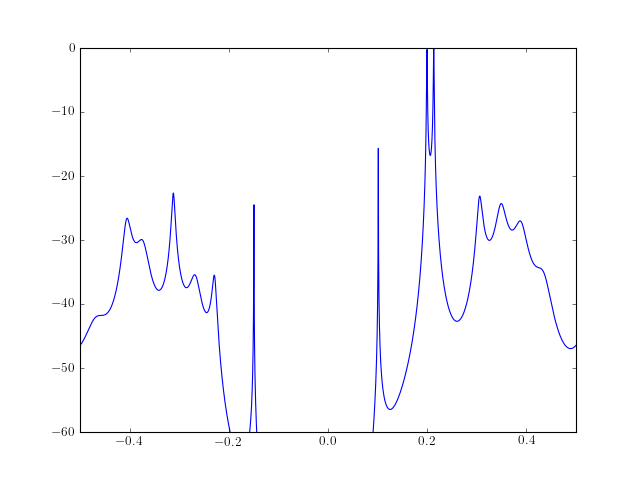 There are also criteria related to eigen analysis, which takes as input the eigen values of any PSD estimate method. Criteria class for an automatic selection of ARMA order. N (int) – size of the data sample. N – the size of the input data. To be defined precisely. 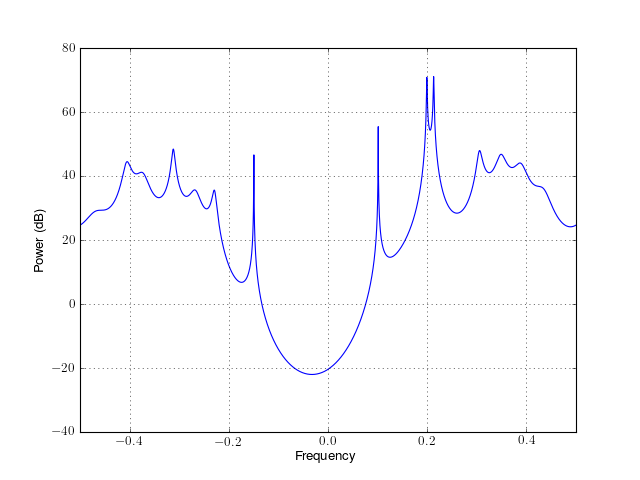 The number of relevant sinusoids in the signal subspace is determined by selecting the minimum of AIC . define precisely the input parameter N. Should be the input data length but when using correlation matrix (SVD), I suspect it should be the length of the correlation matrix rather than the original data.